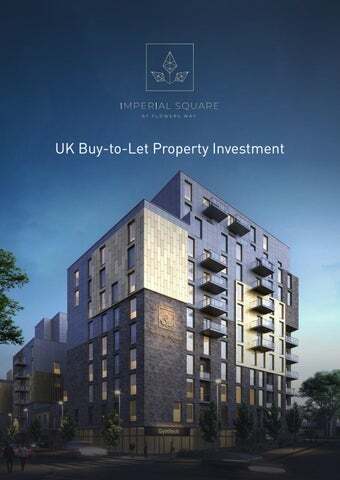 Imperial Square is a new, off plan, buy-to-let opportunity in a London commuter belt property hotspot. All images are for illustration purposes. Pinpointed as one of the best locations for rising property prices in the UK, Lutonâ&#x20AC;&#x2122;s housing market is benefiting from a widespread growth in value. Imperial Square at Flowers Way is an exciting addition to the property market, which offers investors unprecedented capital growth potential and assured rental returns. As the need for desirable living space within commuting distance of London continues to rise, offering investors a new opportunity to make the most of this demand with its latest development in Luton. Emerging markets like Londonâ&#x20AC;&#x2122;s commuter belt are now welcoming some of the most impressive rental and capital growth potential. No.1 location for London workers With the high prices for renting and buying properties in London, itâ&#x20AC;&#x2122;s no surprise that there has been a trend for people who work in London to live outside of the capital and become commuters. Luton boasts some of the best travel connections in the commuter belt, offering a 22-minute train journey to central London. This and other attractive qualities led to Luton being named the number one town for London commuters in a 2018 survey by estate agent Jackson-Stops. Luton is set to become an increasingly attractive prospect for UK property investors, with an expected rise in the number of commuters choosing to base themselves in this bustling and growing town. The ease with which individuals can reach the capital makes Luton a perfect choice for busy commuters, with a growing need for new homes helping to create new investment opportunities all the time. Next Stop, London Situated only 30 miles north of London, Luton boasts some of the best travel connections in the commuter belt, offering a 22-minute train journey to the centre of the capital, close links to the M1 and M25, and a short drive to London Luton Airport. Imperial Square Located an 8-minute walk from Luton train station, which is 22 minutes by train to central London, Imperial Square is perfectly positioned to cater to city workers. Global Connections Luton is a globally connected town and is home to the UKâ&#x20AC;&#x2122;s 5th busiest airport which offers direct flights to 70 worldwide destinations. The local rail network not only connects Luton to London and the rest of the UK, but also provides a fast service to Paris via Eurostar at Kings Cross St Pancras. £1.5 Billion Investment Framework Luton’s close proximity to London and its fantastic transport links to the rest of UK make it perfectly positioned to become a major player in the world economy. Part of the new £1.5 billion investment programme includes eight major strategic development sites including retail, leisure, hotels and housing opportunities and large sites for engineering, technology, creative and aviation-linked employment. new jobs for local people. 8 strategic developments Multimillion-pound mixed-use developments include Napier Gateway, Butterfield Business Park, High Town, Sloane International luxury apartments and Power Court Development. £150 million Power Court Development A new football stadium and events venue with leisure facilities, bars, restaurants, a supermarket and more set to create thousands of new jobs. 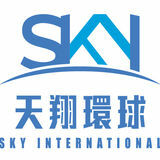 £110 million redevelopment of London Luton Airport will increase annual capacity by 50%, from 12 to 18 million by 2020. Payment plan one £5,000 deposit, 10% on Exchange of Contracts within 28 days (less the reservation fee), 20% due 1st July 2019, 70% due at Completion. Additional legal fees Legal fees are estimated to be between £860-£1,100 fully inclusive of VAT, searches and disbursement costs. the UK, then you are classed as an overseas landlord and may apply to HMRC in the UK for exemption. Please note we cannot guarantee that an application to receive rent with no tax deductions will be accepted. When will the development complete? The target completion date for Phase One is Q4 2020 (long stop date Q4 2021). The target completion date for Phase Two is Q4 2021 (long stop date Q4 2022) and the target completion date for Phase Three is Q4 2021 (long stop date Q4 2022).